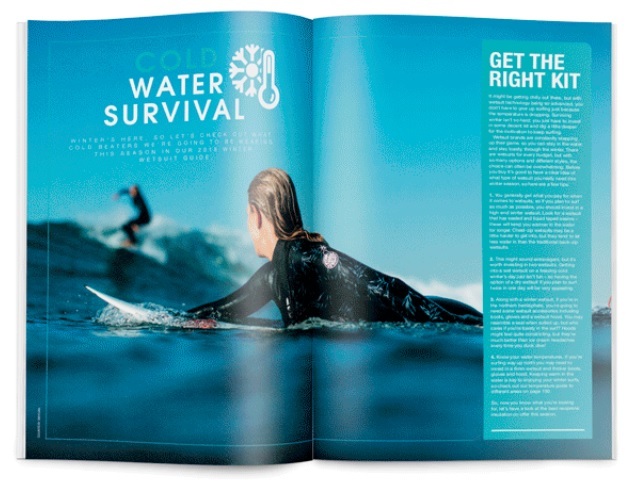 One of our bestsellers – ‘Surfgirl Magazine’! The Surfgirl team run the magazine alongside an online boutique, with eco-friendly collections committed to using sustainable materials and reducing plastics to protect our planet. A hopeful, inspiring and colourful read celebrating what it means to be a strong woman - to be ordinary as we all are and doing extraordinary things. Whether this be surfing in ice cold seas on the west coast of Canada, overcoming bulimia through surfing, fighting back against social stigmas, and many other hardships. This issue is all about empowerment, representing the resilient women who surf. Replete with high quality images shot at beaches from every corner of the world, this issue is simply stunning. Published four times a year in March, May, July and November. Fierce soul, brave heart, strong mind. In this latest issue of SurfGirl we feature resilient women from all ages and walks of life; ordinary women doing extraordinary things and making good stuff happen. It’s our girl power issue! From the cold, northern extremes, Aline Bock and Anne-Flore Maxer, surf and snowboard around Iceland and discover a nation that has played an important part in equal rights. To an irrepressible, young Canadian crew of surfers who brave the harsh conditions of Tofino and still manage to smile! It’s not all snow and ice as we check out the best places to escape for some sunshine and warm waves this winter and gather some gorgeous gifts for ocean lovers this Christmas. Together with our inspirational tips on staying fit and healthy over winter, top tips from top surfer cover girl Maud le Car, we’ve got everything covered this issue. Enjoy!